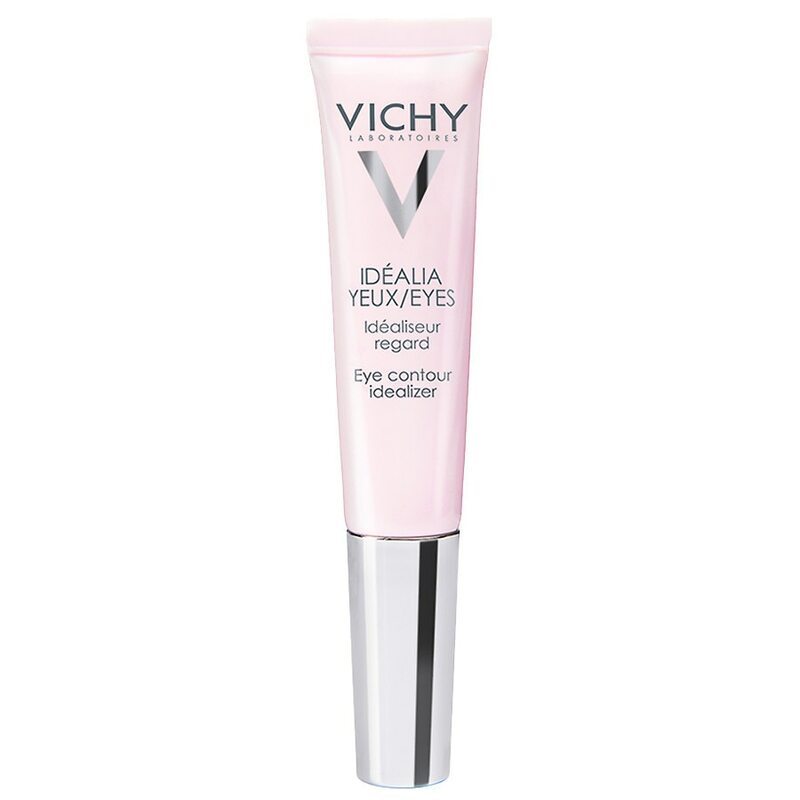 Vichy Idealia Eyes Anti-Aging Eye Cream with Vitamin C and Caffeine is the first eye contour idealizer. Leave tired eyes behind with one single step. Beyond skincare, beyond makeup, Idealia Anti-Aging Eye Cream acts as an anti-wrinkle eye treatment. Reduces the appearance of dark circles. Smooths fine lines. Illluminates shadows.Its creamy, blendable texture absorbs quickly for an instantly moisturized, fresh-looking eye area. Eye cream is the perfect base and prep for makeup application. Vitamin B3: Acts on dark circles with its anti-inflammatory properties. Vitamin Cg: An effective agent against wrinkles. Caffeine: Antioxidant for a rested look. Mother of pearl and pigments: A combination of ingredients that provides immediate soft focus and helps brighten the appearance of shadows. Vichy Mineralizing Water: Rich in 15 minerals helps strengthen the skin's moisture barrier function to help protect skin against aggressors. Use eye cream morning and evening on clean skin. Tap lightly with fingertips to blend and finish.